At McMillen Jacobs, safety is of utmost importance. Our management team is committed to ensuring our employees and subcontractors understand our high standards in safety. Whether it’s self-performing a fisheries or hydropower construction project in Alaska, Hawaii, or California or performing design and on-site construction management of a large tunnel, transit, or conveyance project in Australia, New Zealand, New York, or Seattle, safety remains a top priority in our firm. Our engineers, construction team, and managers are trained in occupational safety and health administration (OSHA) and/or mine safety and health administration (MSHA) regulations. We maintain a safe environment. 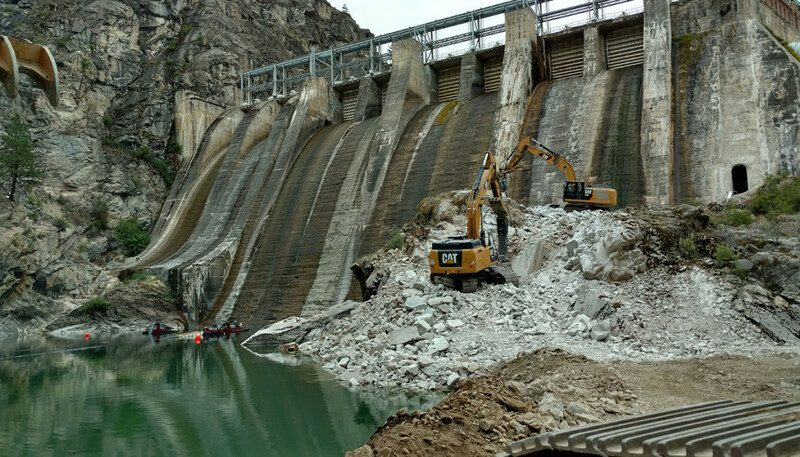 Having our people come home safe while still getting the opportunity to work on interesting projects like the Avista Long Lake Dam Design-Build project in Spokane, Washington or the Northern Sewerage project in Melbourne, Australia is extremely important to us. It’s important that all of our employees and subcontractors are properly supported to perform an assignment safely, efficiently, and correctly the first time. We also require our employees and our subcontractors’ employees to be trained in tasks they are performing and to wear appropriate personal protective equipment to avoid injury. McMillen Jacobs is proactive in making necessary changes and corrections to any unsafe conditions or behaviors before proceeding with work activities. Our Corporate Safety Officer conducts routine inspections of our worksites to ensure our safety procedures are in place and functioning. Formal safety inspections are conducted monthly, with equipment, tools, rigging, and fall protection inspections taking place daily before each shift. More detailed inspections are performed per OSHA requirements on cranes, rigging, and all types of fall protection equipment. We take steps so supervisors and all employees maintain proper procedures while performing tasks, and our supervisors are all trained in first aid and CPR and are well versed in emergency procedures.